As you probably know, all United States citizens are granted certain protections by the government. Detailed in the Bill of Rights, these protections include provisions to ensure that the judicial system treats all citizens fairly, including those who are charged with a crime. Consisting of the first ten amendments to the Constitution, the Bill of Rights guarantees liberties such as freedom of speech and the right to bear arms. In addition, these amendments also detail rights for individuals who are accused of committing a crime. Known as the rights of the accused, these protections are designed to limit governmental powers and prevent unjust criminal convictions. It is important to be familiar with these rights in case you are ever charged with a crime. As a defendant, you have the right to obtain legal counsel and when questioned, you have the right to remain silent until you speak with an attorney. If you are unable to afford an attorney, the government must appoint one at no cost to you. The Bill of Rights also protects all citizens from unwarranted search and seizure. This means a police officer or other member of law enforcement cannot search your property unless he or she has a search warrant. If you are convicted of a crime and sentenced to jail time, the Bill of Rights grants specific rights to prisoners. Known as Prisoner Rights, these provisions protect citizens from cruel and unusual punishment and guarantee basic constitutional rights to due process as well as freedom of speech and religion. Although Prisoner Rights protect many personal rights, if you are convicted of a felony or violent crime, you may lose many of your civil rights, including the right to bear arms and the right to vote or obtain a passport. Less serious charges can also lead to revocation of some rights. For example, if you are convicted of DUI or reckless driving, your driving privileges may be suspended for a specified period of time. The accused are not the only individuals who are protected by the Bill of Rights. 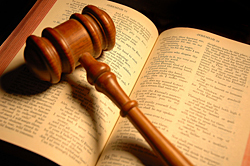 Victims are also granted protections such as the right to restitution. If a victim suffers loss due to the crime in question, he or she can file civil charges against the accused—even if the person was found not guilty.